Here is how you prove and stop parental alienation? How do you prove parental alienation in a California family law case? To do so may at first seem daunting. Parental alienation, unlike physical abuse, does not leave marks. And unlike physical abuse, law enforcement does not get involved. Can you imagine contacting the police or social services because the other parent is alienating your child from you? Something tells me that phone call may be short. Does that make parental alienation unimportant? In the eyes of the general public, the answer may be yes. But, what if you ask a victim of parental alienation? What if you ask attorneys like those at our family law firm? Especially when we know the impact of parental alienation on the parent-child relationship. The answer is most definitely no. So how do you prove parental alienation? Let’s go through it. The mother and father are obvious witnesses. One of them is likely the culprit and the alienating parent. The other is the victim of the alienation. There are also the children as witnesses and the subject of alienation. Each of these can help prove parental alienation. How do you prove parental alienation when the teenager is completely alienated? Older children (teenagers) significantly alienated from a parent may not recognize the alienation. For them, after years of alienation, they may not look at the alienating parent’s conduct as wrong. For that reason, if a parent completely alienated the older child, he or she may not be a helpful witness. It is not an exaggeration to state an alienating parent can brainwash children like this. We have seen some incredible examples. Proving parental alienation with an older teenage minor child who the alienating parent brainwashed usually means you have to rely on evidence other than the child’s testimony. Teenagers who are not yet alienated as witnesses to proving parental alienation. Teenagers however are often helpful if they are not alienated yet. Because of their age, they are able to articulate the alienation better than a younger child. For example, if we have a 16-year-old who the alienating parent did not yet significantly alienate from the other parent, that 16-year-old may be more willing to state what mom or dad said or did. These issues are of course not black or white. So much depends on the case’s individual facts. How do you prove parental alienation with younger children? You have heard the expression, “kids say the darndest things.” If a child is between age 6 through 12, they may not really understand what is happening to them. They may hear mom or dad disparage the other parent. They may hear mom or dad say other things that cause the child confusion about the other parent. But do they really understand what mom or dad are trying to accomplish or the effect it has on them? The answer may be no and if the answer is no, placing the children through an appropriate interview process may actually expose the alienation. The therapist as a potential witness to proving parental alienation. Another potential witness is a therapist who consulted with the parents. If the parents are in joint marital therapy, under certain circumstances, a parent may compel the therapist to testify, if he or she was a witness to the parental alienation including admissions by the alienating parent about the parental alienation. Whether a parent can compel the therapist to testify is a question of law and an experienced attorney can tell you whether you can compel the testimony. Of course, the main issue becomes the therapist – patient privilege and whether it would apply in such a situation. Relatives and friends as potential witnesses to proving parental alienation. If any of these people spent significant time with the children, they can attest to what mom or dad did. They can also attest to what they heard the children say, although this “hearsay” may sometimes be inadmissible. If admissible, this may lead to evidence of parental alienation. The above are just some of the examples of witnesses that may help to prove parental alienation. Who talks to the children about the parental alienation? How does this interview take place? The most common are a court appointed child custody evaluator, minor’s counsel or a court appointed investigator. If a court-appointed lawyer (minor’s counsel) for the children speaks to them, the lawyer may be able to understand from the children why they say what they say or feel as they do. They may also understand why they do not want to see one of the parents. To learn more about how a child may express a preference in court, check out our article titled: How is a Child’s Preference and Choice in Custody Determined? The same is true with a private child custody evaluator, sometimes called a 730 evaluator. 730 refers to Evidence Code 730. What is a 730 evaluation? They are private child custody evaluations where typically a psychologist will interview children, the parents, collateral witnesses, conduct psychological testing and engage in related investigations to ultimately make a recommendation to the court on custody and visitation issues. Through this investigation and evaluation, the private child custody evaluator may be able to flesh out the alienation. 1. Electronic communications between the parents. What better way to document alienation than to communicate the other parent’s misconduct through electronic communications? These include emails and text messages. For example, if a father hears his child state something that clearly shows the mother disparaged the father, the father can document that disparagement to the mother by a text message and ask the mother to explain what she told the child. Think about the other parent’s options. In our hypothetical above, what are the mother’s options? To lie? Sure, that can happen. To admit it? You would be surprised how many times they unknowingly admit what they do in the heat of the moment. Not respond at all? That silence might be an admission. But it is not about one or two isolated incidents. It is about reasonable, consistent documentation. A parent who is vigilant in these situations will pick up on the alienation with what the children say and do. And documenting this misconduct with the other parent shows a pattern or history of the other parent’s misconduct. This can be useful in family court especially if the other parent admits to the alienation or ignores the communications. But even if the parent did not make admissions, it is still helpful because it shows the victimized parent is taking the situation seriously and is bringing the issues to the other parent’s attention. Proving parental alienation becomes easier when you have this documented history. I used to be surprised what people put on social media. I am no longer surprised as I have seen incredible admissions made on social media. This is especially true on media such as Facebook and Instagram. Parents also sometimes say the darndest things and social media can be a valuable tool to flush out admissions of misconduct. Parents may place on their social media accounts conversations they had with their children. They may include significantly disparaging comments about the other parent which is then consistent with what the children say about the other parent. 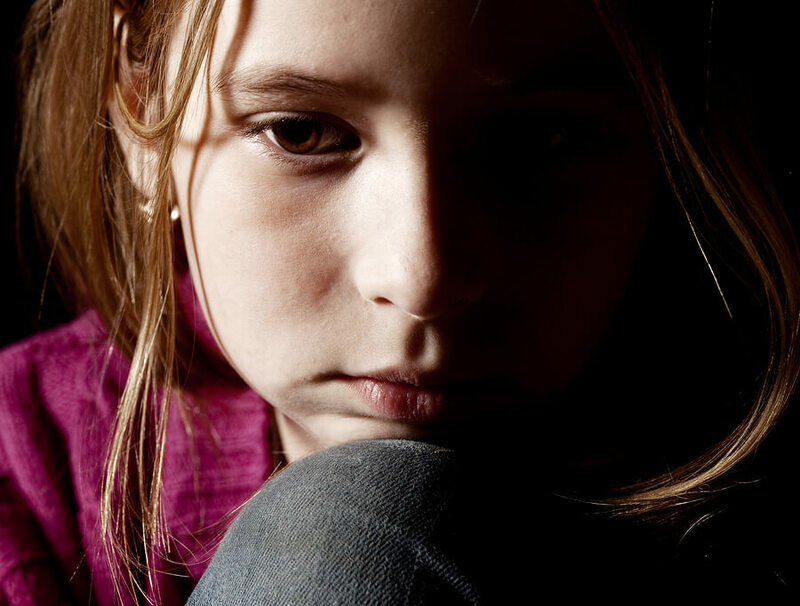 It does not always have to be a direct connection where the alienation evidence comes from the perpetrator’s mouth through the children. Even if a parent cannot show a direct link from the social media post to the disparagement, the fact a parent states his or her opinion on social media and the children then hold the same opinion can show that at some point that parent and child must have communicated about these issues. Otherwise, where would the children have heard it? Not surprisingly, social media admissions are not limited to just the parents. Children, especially those over age of 13, also engage in social media interactions. A child may send a tweet, write a Facebook post, write an Instagram message, etc. that sets forth what a parent said or did. A child may also post how he or she feels about certain situations. All of these may be direct or indirect evidence of parental alienation. We have seen this firsthand and incredibly, sometimes the alienating parent actually encourages this conduct, not realizing the very thing they encourage the child to do may prove their misconduct. Do the children keep a journal? Do the children text or email their friends? Of course, an experienced attorney will have to tell you about privacy in such communications but if this information can be lawfully gathered and used, it may be very useful. Children often communicate with their friends through the same electronic means parents communicate. They communicate about what their parents have said or done. Little Johnny may tell her friend Jane that mom told her that dad is a useless, worthless, idiot and she will make sure dad is not in their lives much longer. Yes, this actually happens. Parental reunification therapy is a form of therapy designed to reunite a parent with his or her children. This sometimes occurs in parental alienation cases where the children have not been completely alienated but have been alienated enough where a professional therapist needs to get involved and restore the parent – child relationship. Once again, confidentiality and the therapist – patient privilege becomes an issue. And these are issues an attorney can help you navigate to determine if a reunification therapist can be required to testify. If there is a lawful way to compel the reunification therapist, which we believe there is under certain circumstances, the therapist can potentially provide testimony about what the children have gone through and what the alienating parent has done. This can be highly valuable testimony and, by itself, may have a positive impact on proving parental alienation. Litigation may be unavoidable against an alienating parent, especially the worst kind of parent. As we discussed earlier, we believe parental alienation is a form of child abuse. It has both short-term and long-term adverse consequences on the child. So how do you prove parental alienation through the litigation process? I could probably write a short book on the subject as the subject is a very broad one. For this page however, I will provide some of the more important considerations. 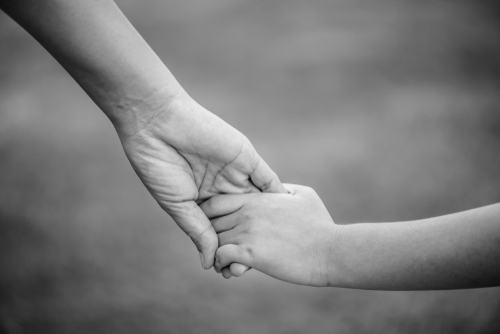 How do you prove parental alienation through the litigation process? You never get a second chance to make a first impression. That expression applies to the first communication with the alienating parent or his or her lawyer. Unless the lawyer represented the alienating parent before and has actual personal knowledge of the alienation, the lawyer probably has no idea what his or her client has done. But it is still important the victimized parent’s lawyer clearly communicate with the other lawyer the nature and detailed extent of the alienation. That is because the first impression can make clear to the alienating parent’s attorney how extreme his or her client’s conduct has been and the consequences that will come with it. Such an initial communication should get the alienating parent’s attention and put him or her on the defensive. In some cases, it may cause the alienation to actually stop for fear of the consequences. In most cases, even extreme ones, perhaps for the first time, the alienating parent feels the fear of the consequences to come. Fear is a valuable here because a person who is so reckless and even malicious usually has no fear of judgment. The consequences of ongoing misconduct, as the letter should state, are an immediate filing of a request for order that brings the misconduct to the court’s attention. That request for order seeks orders that can range from reunification therapy to sole custody. We went through a lot of detail about documenting alienation, using social media, gathering witnesses, potential use of therapists, etc. Take the alienating parent’s deposition and confront him or her with the evidence of misconduct. Serve written discovery, which are formal requests for information. This includes interrogatories (written questions), demand to produce documents, or request the alienating parent to admit to certain facts. Issue subpoenas for witnesses and records. The litigation process affords the victimized parent many options beyond what I listed above to prove the alienation. trying to deal with these issues with the children directly. A minor’s counsel, which is a lawyer for the children, may be helpful in this regard. Reunification therapist may also be helpful to encourage and facilitate that contact and cut through the resistance. The individual case’s facts controls how much of this is done formally through the court process versus behind the scenes. No two situations will be identical. Of course, nobody wishes for litigation. Ideally, these issues do not see the inside of a courtroom. However, if a victimized parent does not have the courage to initiate and follow through on court action and ultimately put these issues in front of the judge, the victimized parent may never make any progress or have any hope of progress with the children. A trial is sometimes unavoidable if the victimized parent wants justice. The reality is this. If a parent is intent on alienating the children and his or her alienation took hold, the only thing that may stop the alienation is a court order that takes the children away from the alienating parent. The younger the children are, the more likely this can help reverse the damage done. The older the children are, the harder that becomes. I speak with victimized parents. I hear them tell me how distraught they are over what has occurred. Being distraught is normal but it is not a path to recovery nor is it a path to proactive solutions. At some point, the alienated parent has to realize that to do nothing is to condone the abuse and to do nothing means nothing may ever stop the parental alienation. It may not be an easy road ahead but your children are worth it. When a parent engages in parental alienation, they engage in child abuse. Therefore, you are not just doing this for yourself. You are saving your children from that ongoing abuse. Contact us for an affordable strategy session. We have offices in Orange County and Los Angeles. We are experienced in parental alienation matters and are ready to help. Ready to learn more? The next guide in our child custody section is about move away cases where one parent seeks to move with the minor child. If you expect that situation may apply to you, we encourage you to read the guide linked below. If you want to learn more about parental alienation, we also provide you with additional links below.